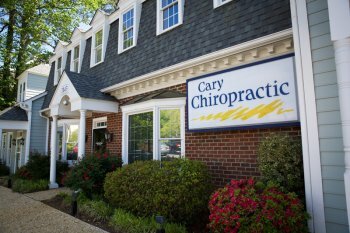 Cary Chiropractic is proud to serve Cary, NC and the surrounding areas. We are dedicated to providing the highest level of chiropractic care along with friendly, compassionate service. We welcome all new patients to our office. We invite you to contact us today. If you have any questions or concerns, please don't hesitate to call us at (919) 467-0300. At Cary Chiropractic, we offer a variety of services to care for your body. If you have any questions or would like more information on how we can care for you, please contact us today. At Cary Chiropractic we understand that the easiest, least expensive & fastest solution to any problem is best. Other professionals may focus on symptoms, we will look to identify and correct the underlying cause of those symptoms. Our goal is to use modern techniques and technology to help our patients see significant improvements in less than 3 weeks. You'll leave our office with the knowledge of what you can do on your own to not only feel better in the short term, but stay better in the long run. We have a genuine concern for your well-being and health! Contact us today and after a review of your symptoms and history we will be able to determine if there is an opportunity for you. If so, we will develop a Chiropractic plan specific for you. All conscientious medical authorities agree: if you do not actively participate in your wellness... your health will gradually deteriorate. Do not come looking for a "band-aid." Come looking for a lifetime of answers.